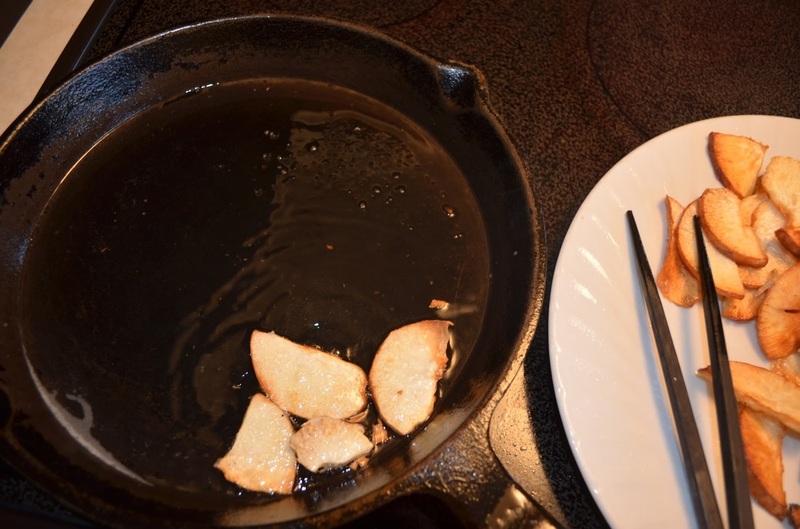 You can cook the chips in an iron skillet or in a toaster oven on the rack or in a baking pan. Peel/skin, wash and thinly dice the tubers (it helps to use a large sharp knife on a cutting board). In a bowl mix a few slices with salt. Place the slices in one layer on your cooking surface, you will likely have to mix these last two steps several times. If using an iron skillet use 3 tablespoons of coconut oil initially and add more as the level of oil drops or the chips stick to the bottom, keep medium heat. Stand with the chips to flip them as one side goldens, than remove when both sides are golden and crispy. If using baking pan in toaster oven use about 1 tablespoon of coconut oil for first batch at 450F in toaster setting for about 10 minutes or a little more. Keep a watchful eye until it becomes golden and crispy. This may be the least crispy version. Add more coconut oil if necessary in following batches. 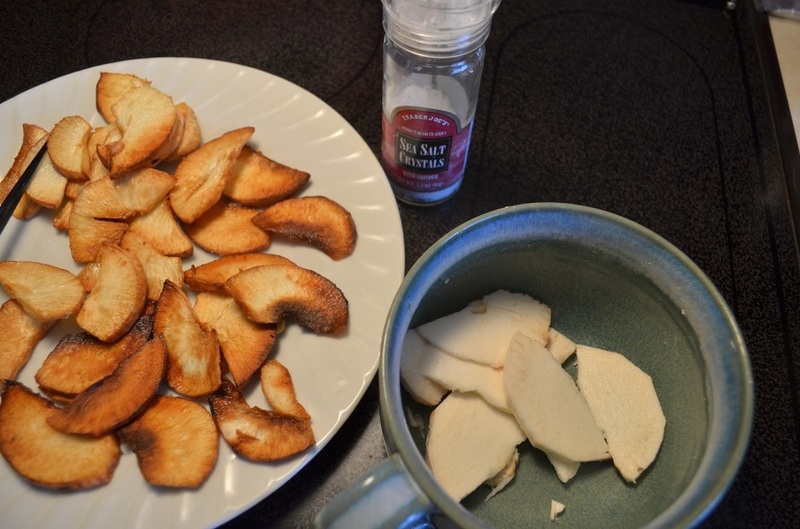 If using toaster oven rack, optionally dip either side of the chip in coconut oil after mixing it with salt, than place the chips on the rack in one layer at 450F in toaster setting for about 10 minutes or until it's golden and crispy. No need to try reducing the oil of these chips with paper towels etc, the coconut oil is very healthy (helps lose weight!) and doesn't burn at these cooking temperatures. Cut the washed avocadoes in half and with a spoon scoop all but the skin in your bowl. Juice the lemon and limes and mix in with salt&pepper. 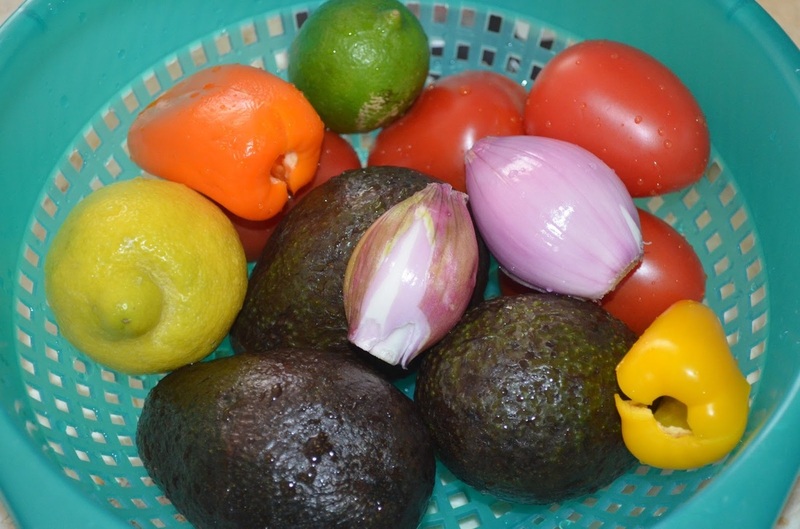 The lemon&lime juice should help soften the avocado. Mash the inside with spoon and remove the seed (the washed seed makes a cat toy). Thinly dice all the other ingredients and mix in. 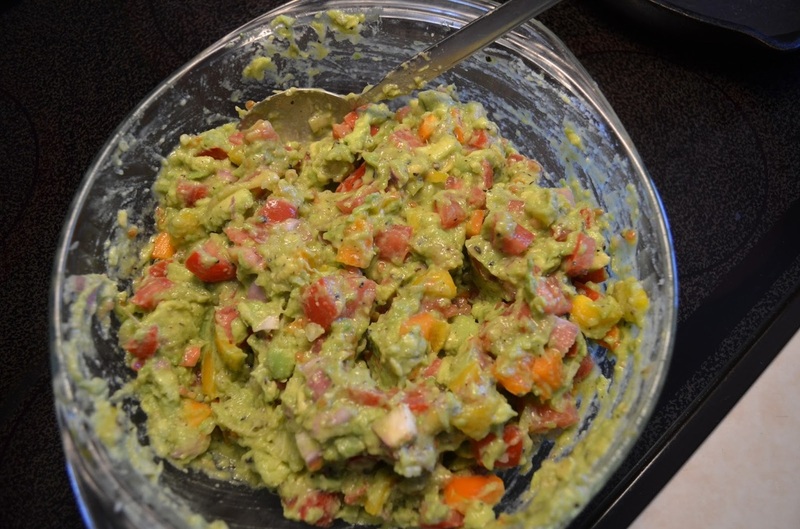 Dip your chips in your guacamole and enjoy! Bon appetit! Beware, this recipe yields a considerable amount, it could constitute the snack&dinner of a family of 2-3 by itself. Cut the washed avocados in half and with a spoon scoop all but the skin in your bowl. Juice the lemon and limes and mix in with salt&pepper.